One prediction about tomorrow is certain. Republicans will do everything humanly possible to steal this election. There are going to be countless irregularities. To provide cover for this, Republicans will be staging false flag irregularities. The best way is to defend yourselves and others is to go armed to the polls. No, I�m not talking about taking guns. Using violence as a threat is InsaniTEA. Our weapons of choice must be cameras. Great idea - time to put all those smart phones to work. Irrefutable proof! TomCat - that is a BRILLIANT idea - to video voting irregularities with SmartPhones is utterly BRILLIANT - I do hope and pray every voting station has many people doing that - preferably in pairs! Not here! There are big signs out front turn phones off - no photographs, video or use of phones inside the polling area. Which is not to say that as soon as you walk out - you can not call the authorities with a report. Ty Tom. Yes catch them on camera. . .all eyes at the polls. . .every woman/man on deck. . .GOP stops at nothing. . .the world is watching and thinks this is nuts...because it is. . .don't let them get away with anything this time. . .STOP ALL JERKS! Thanks Tom I have already voted but I do think that I will go to my polling place with my phone just to look around, I am so scared that the republicans are going to steal this election. Thanks Tom for the post, the link to the full article and all the info. 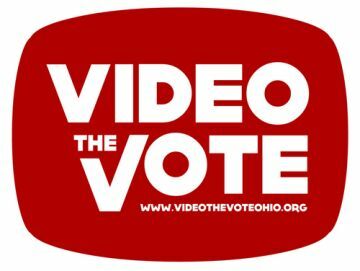 Kudos to Video The Vote. Read and noted. Thanks, Tom, and thanks also to Elle B for the links she gave us. I don't have a smart phone, but doubt I would need it in my rural voting precinct. The people who run it are neighbors. Lucky for me. Great advice, Tom! Since NY is a solid blue state, I don't think I'll have the need to take any such measures when I vote, but since this election is so close, and the Republicans are trying hard to steal the vote, I wouldn't want to take any chances if I lived in a swing state. Obama-Biden 2012! May the best team win --again! I have three words of advice from this old bank auditor and mortgage fraud investigator: document, document, and DOCUMENT! But do it legally! Video with your smart phone if you can! But if that isn't possible, make sure you have a witness with you, or get the names of witnesses around you, preferably the first as many people don't like to 'get involved'. Get the names of the 'trouble makers' and make detailed notes. Don't rely on your brain as believe me, the brain does become jumbled. I wish I could vote with you, but as a Canadian citizen I can't! But I hope and pray for a Democratic victory as this is the only viable option right now to continue to propel the country forward out of the 8 year abyss of the Baby Bush Republican/Teabagger reign of terror. Get out the vote!!!!! Four more years!!!!! There must be a good reason for the results of an international poll that found 75@ of 22,000 people in 21 countries would re-elect Mr Obama. From that same poll, 66% of Canadians would vote for Mr Obama! Thanks everyone! Kudos to Elle! We all need to do all we can! Our partners at 1-866-OUR-VOTE are available 6 a.m. EST until polls close nationwide to help you with any voting questions you might have. On a smartphone? The Election Protection Smartphone app provides all the information and resources voters need to register and cast a meaningful ballot � in the palm of your hands. Text OURVOTE to 90975 to download it now. Finally, forward this message to your family and friends. We want everyone to know and to exercise their rights. Cameras were used in the last election when liberals threatened voters. It didn't make a difference. Obama stepped in and let them off. Funny how liberals whine and promote fear of conservatives stealing or committing voter fraud when all cases to date have been from liberals. The morning was still early and already Panthers were causing problems at one station. Liberals kicked out conservative inspectors while keeping liberal inspectors. It's as plain as the nose on your face that liberals are trying desperately, AGAIN, to commit enough voter fraud to steal the election. From people on site to tampered voting machines preselecting Obama. The one thing we can agree on is the statement to get out and vote, but since we are dealing with liberals you need to add one thing. Get out and vote! ONCE! Election protection ... meaningful ballot? What, you folks can't do a little research on your own prior to voting? You need someone to TELL YOU how to vote? Sad. Really Sad!